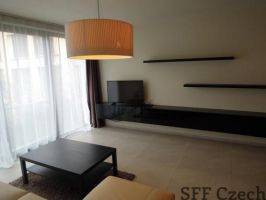 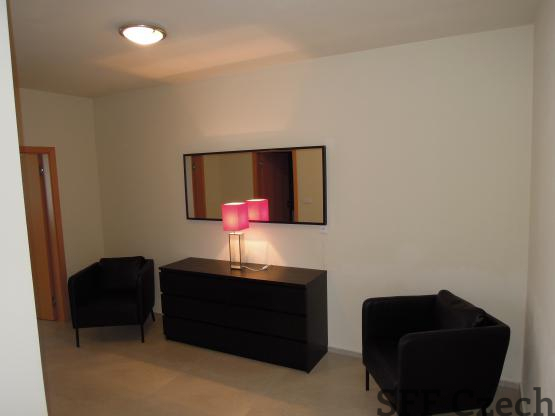 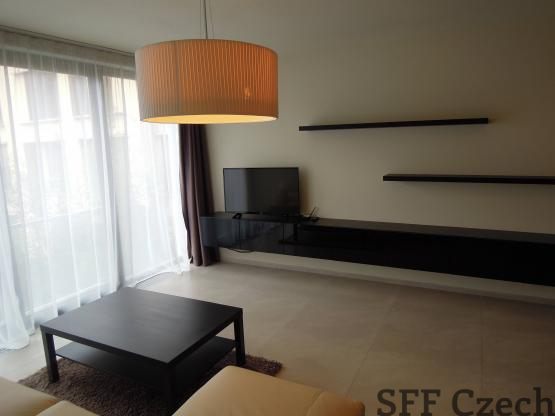 The medium or long term rent of modern furnished apartment 3+kk (120 sqm.) 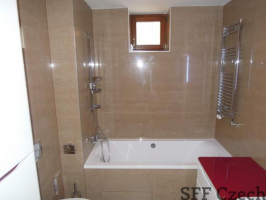 on 3rd floor with elevator of reconstructed residential house in Praha 6, Bubenec. The apartment consists of entrance spacious gallery with comode and amchairs, utility room with washing machine, spacious living room with a modern kitchenette and dinning area (appliances such as dishwasher, glass-ceramic hob, hood, oven, fridge/freezer), 2 separate bedrooms, 2 modern bathrooms (with bath and toilet and second with shower and toilet). The apartment is rented fully furnished with furniture. 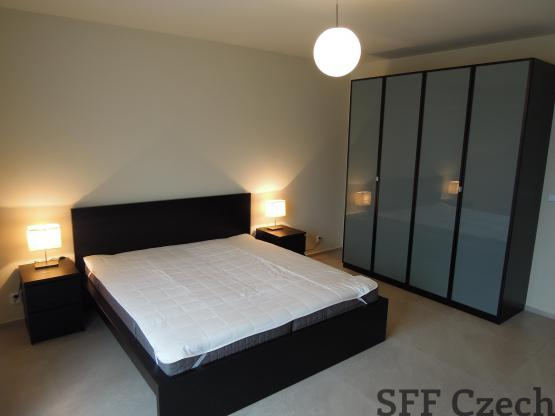 The spacious entrance hall has built-in wardrobes, futhermore in flat is TV etc. 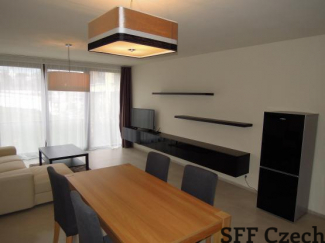 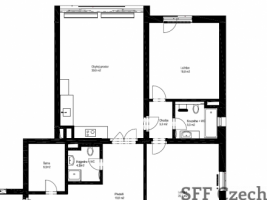 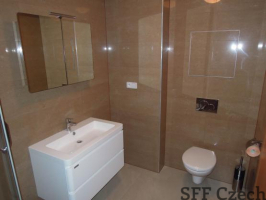 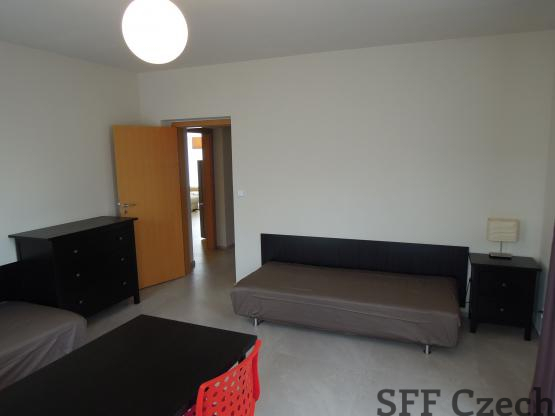 Monthly rent: 32.000 CZK + approx. 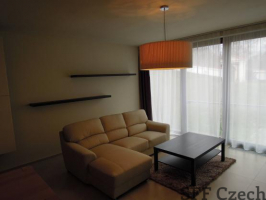 3000 CZK utilities (water, heat, electricity) will be billed monthly according to actual consumption. Internet for extra charge 400 CZK/month.